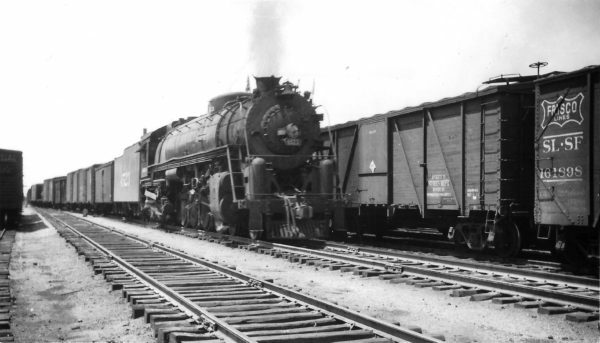 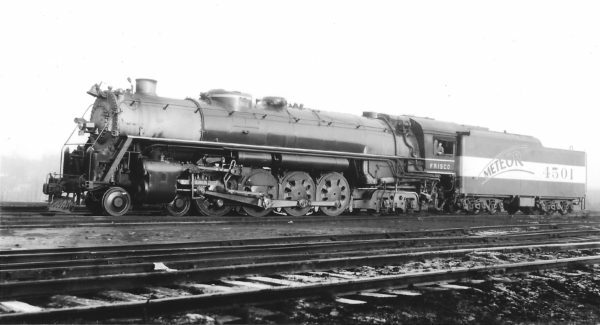 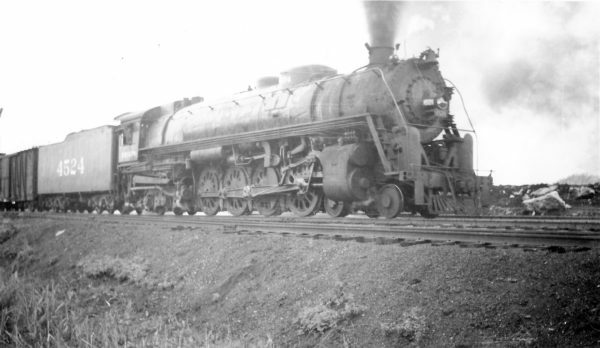 4-8-4 4522 (date and location unknown) (M. Morrow). 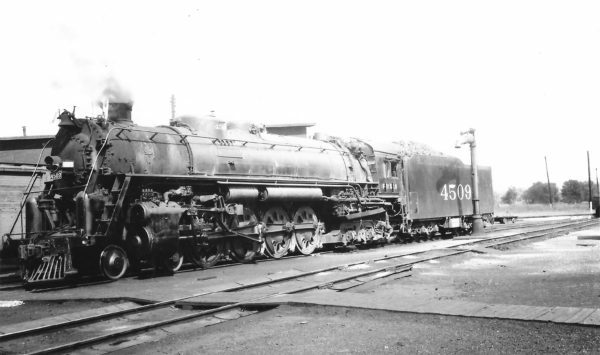 4-8-4 4500 at Springfield West Yard, Summer of 54 (M. Morrow). 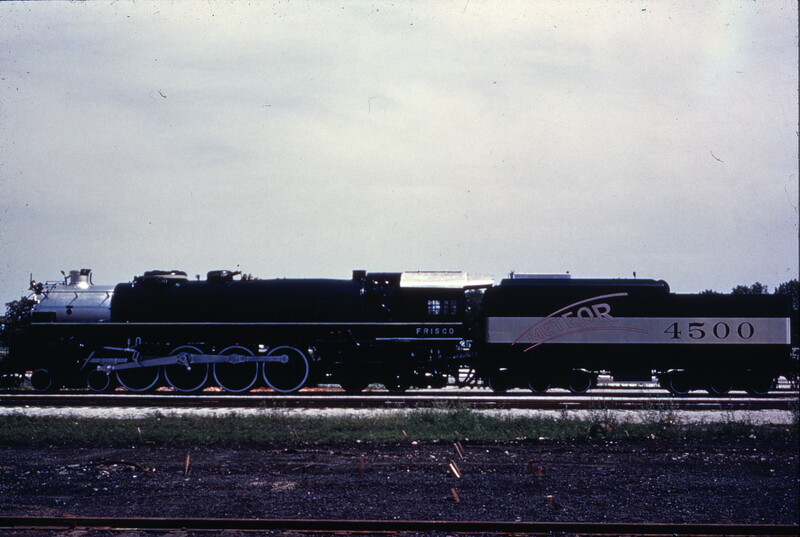 Thanks to Karl Brand for location and date. 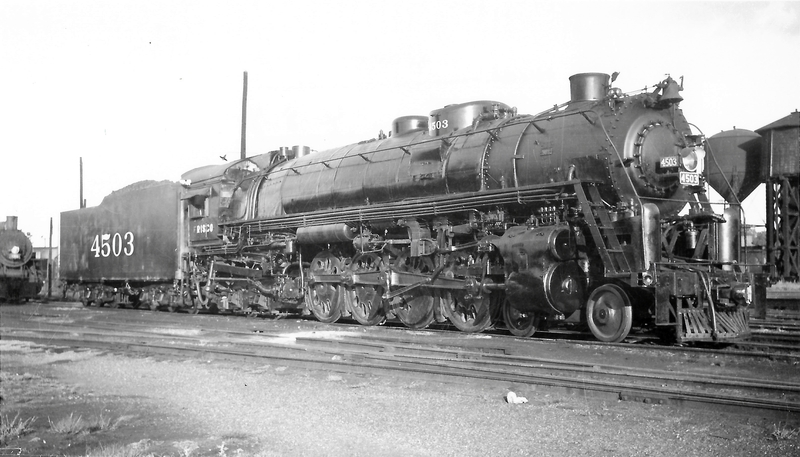 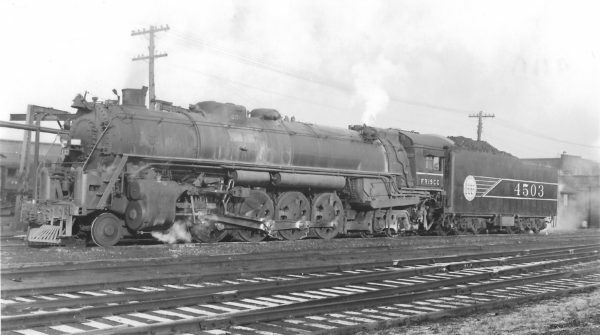 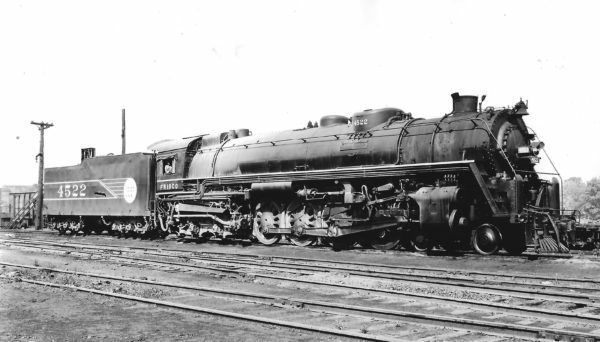 4-8-4 4503 at Springfield, Missouri on April 30, 1948 (Arthur B. Johnson). 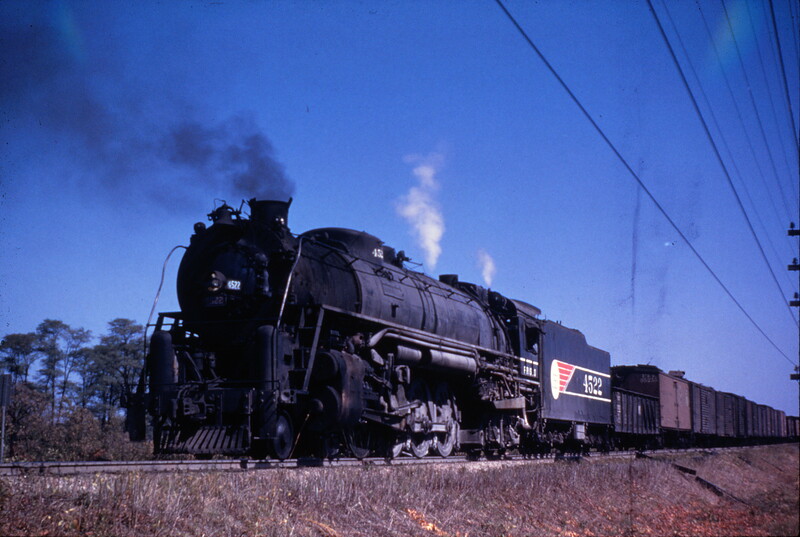 4-8-4 4509 at Newburg, Missouri on August 7, 1949 (Arthur B. Johnson). 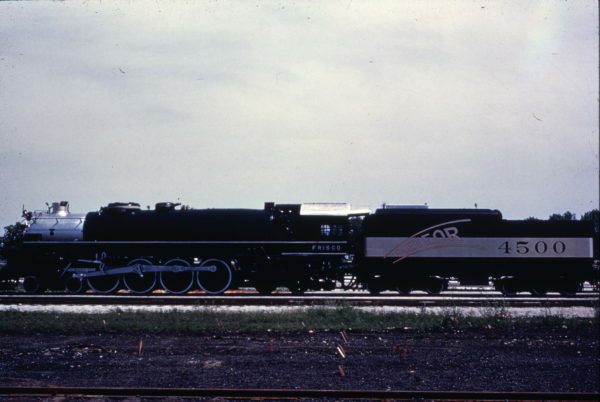 4-8-4 4524 arrving at Springfield, Missouri on September 30, 1947 (Arthur B. Johnson). 4-8-4 4503 at St. Louis, Missouri in January 1945 (Arthur B. Johnson). 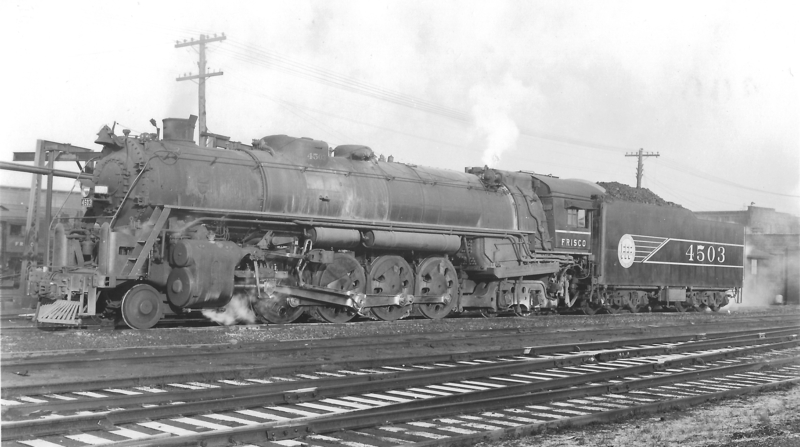 4-8-4 4512 at St. Louis, Missouri in March 1945 (Arthur B. Johnson). 4-8-4 4522 at St. Louis, Missouri on March 3, 1944 (Arthur B. Johnson). 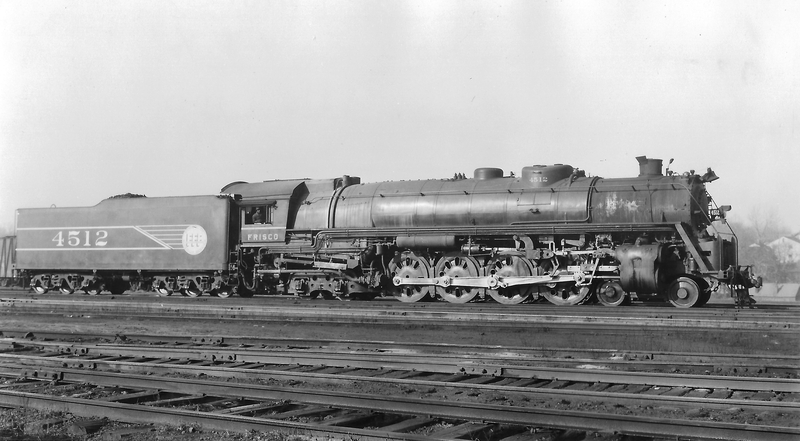 4-8-4 4501 at St. Louis, Missouri in January 1945 (Arthur B. Johnson).